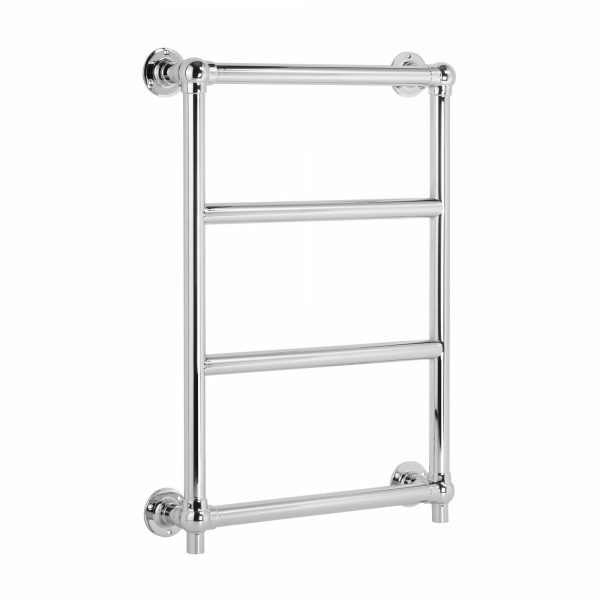 Designed in the UK, this traditional ball jointed heated towel rail is made from Chrome plated brass for a superior quality and corrosion-resistant build. 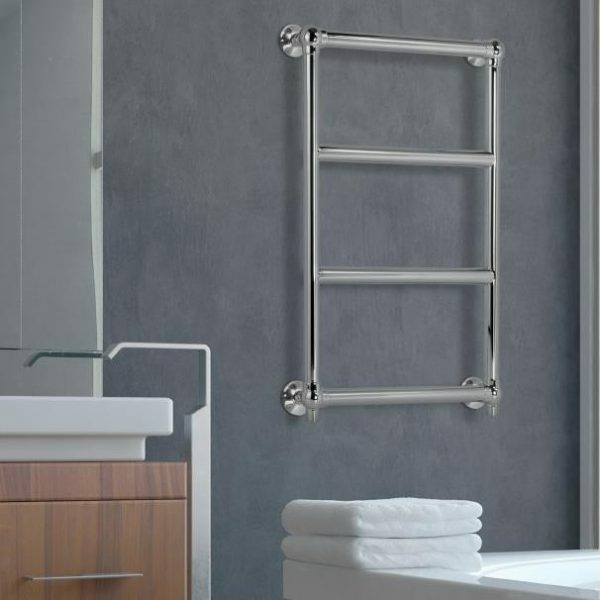 Coupled with a market-leading Italian made PTC energy-efficient electric element, it is the perfect and functional addition to any bathroom. With no requirement for central heating, the rail can be conveniently and simply installed in any room in your home, either as a replacement for an existing towel warmer or an additional feature. 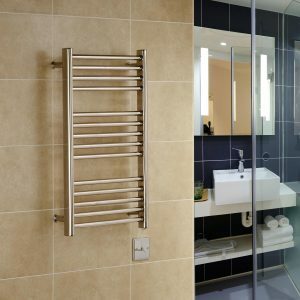 Made from brass, the towel warmer will never rust, and because brass can be polished to a mirror like finish, the chrome plating on this rail is one of the best available. 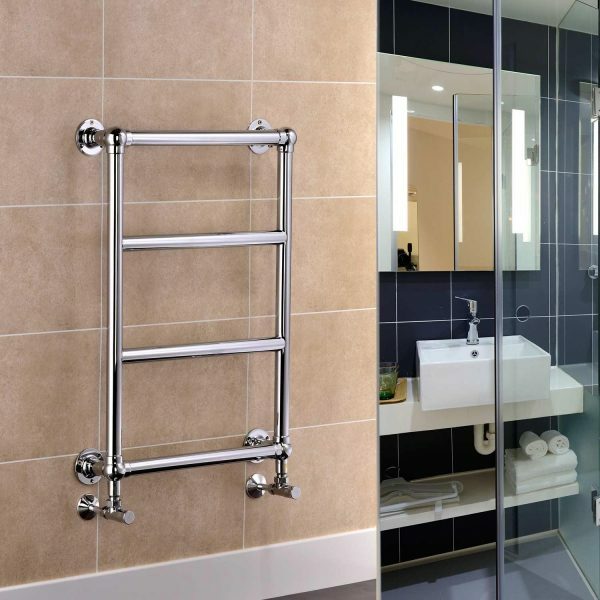 They’re designed to last, with a 10 year guarantee on the rail itself and a 2 year guarantee on the electrical element (which can also be easily changed if required, or converted to a dual fuel rail). It’s pre-filled with a Fernox glycol solution which prevents corrosion, freezing and reduces noise, extending the longevity of the product versus being filled with water or other chemicals. The superior chrome plating consists of 40 microns of copper and 15 microns of bright nickel plating, prior to the 60 microns of chrome plating itself. This guarantees a superior finish and prevents any of the base metals being visible. The supplied heating element is high-specification IP55 rated ceramic PTC element. This element will operate at full power until it reaches a working temperature of 65 degrees, after which it will reduce power input to maintain this temperature. 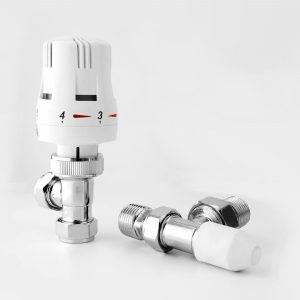 As a result, there’s no need to install a separate thermostatic control unit, and the element is significantly more energy and cost efficient to run than a traditional resistance wire element. If you require a lower working temperature, a dimmer switch can be installed to reduce power input accordingly. 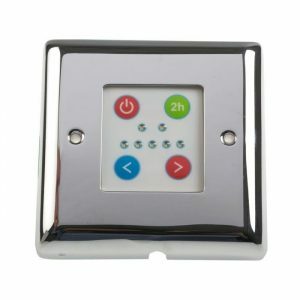 PTC elements can also be combined with a programmable timer switch, giving you maximum control over when the towel warmer operates for both convenience and energy efficiency. 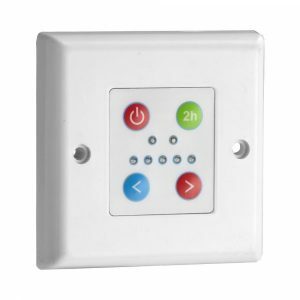 We also stock a range of timer switches which are compatible with this towel rail. 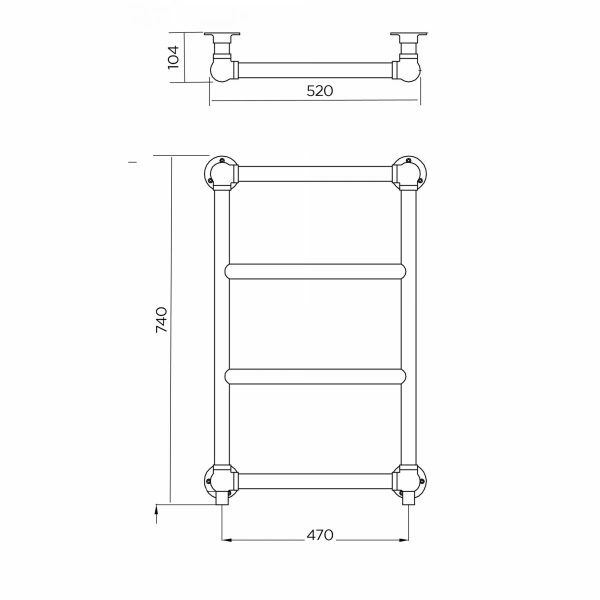 To allow for expansion during operation, a small air gap is included when the rail is filled, so during installation it may appear that the rail isn’t correctly filled – this is completely normal. 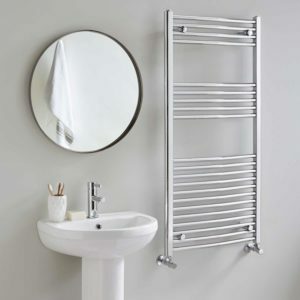 Please note that this heated towel warmer is not designed to replace a radiator, but be used in addition.